I would like to invite You to Latvia's XCO race series "Gruzis acī" (In English it would translate as "Debris in the eye" ). We love XCO and we would also like to show how interesting is XCO to other people. Hoping to see You all at "Gruzis acī"! Paskutinį kartą redagavo Helminth 2016-03-21 03:13. Iš viso redaguota 3 kartus. 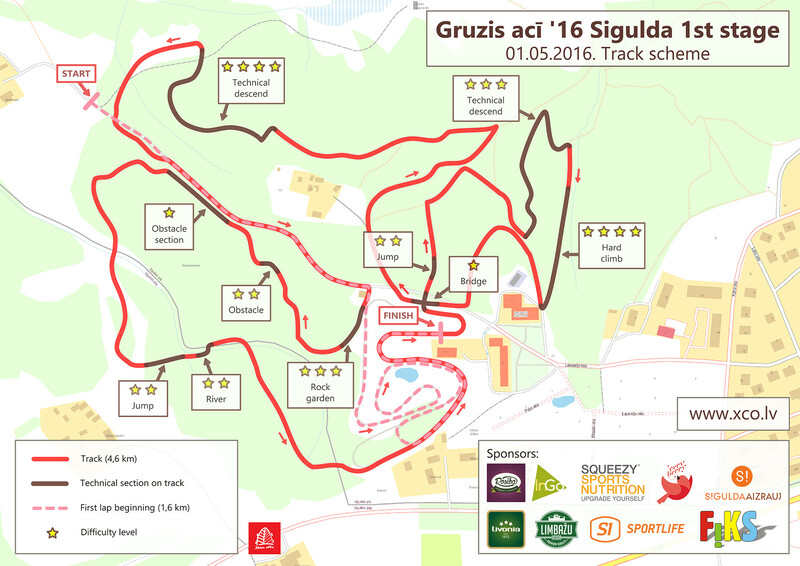 Race location - Latvia, Sigulda, Siguldas sporta un aktīvās atpūtas centrs. Remember that online registration for 1st stage ends on 28.04.2016 at midnight! It is also possible to register on the race day with increased participation fee. Age group Juniors 15 and Juniors 17 – participation fee is 5 euro regardless of the registration time. 2) If wanted participants who are already registered for group "Juniors 23" will be able to switch to Elite group on the race day. Race location - Ogres Zilie kalni, Latvia. Participation fee for groups Juniors 15 and Juniors 17 is 5 euro regardless of the registration time. Don’t miss - online registration is opened until 15. september (included)! Important changes in regulations: After Men Elite leader finishes race, start is closed and participants from Elite and all the other groups can not start a new lap - all riders finishes their started lap and are ranked by finished lap count and time, regardless if they managed to finish specified lap count for their group. 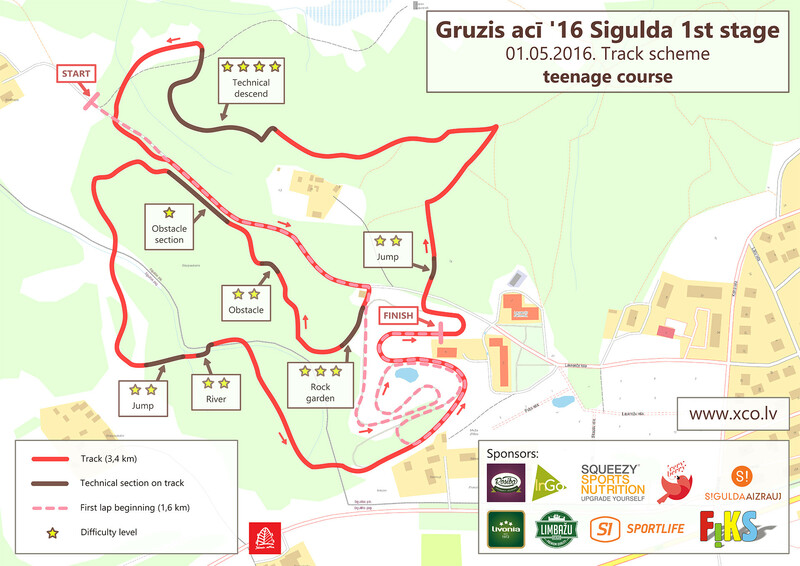 Online registration for “Gruzis acī” XCO 2016 3rd stage Riekstukalns, Baldone is closing today on 15. september. Don’t miss!